With the conclusion of conference championship weekend, it's now clear who the frontrunners are for NCAA team and individual titles next weekend. Any guesswork we may have about who might run such-and-such event will be resolved by this Wednesday, when athletes are required to make their selections and the official NCAA fields will be announced to the general public. 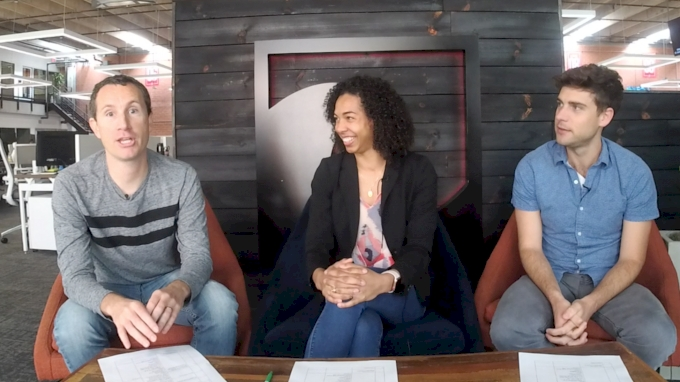 It's been a whirlwind of a weekend and below are my top takeaways from the action as we look ahead to the upcoming championships in College Station. Sydney McLaughlin & Lynna Irby Have Arrived! True freshmen Sydney McLaughlin of Kentucky and Lynna Irby of Georgia made a huge statement at the SEC Championships, not just to the NCAA but to the rest of the world in running the No. 1 and No. 2 fastest times on the planet this season: 50.52 and 50.62. McLaughlin's time established a new world junior indoor record and is the second-fastest indoor mark ever in U.S. and NCAA history. Reigning world outdoor champion Phyllis Francis set the American and collegiate record of 50.46 in 2014 for Oregon. Irby's mark ranks No. 4 behind McLaughlin, Francis and Francena McCorory, though the Indiana native shouldn't be too upset -- she nearly ran down McLaughlin in the final meters (add in USC's Kendall Ellis and this NCAA final is going to be SICK) and came back to win a fiery 200m final in 22.66, the fastest time in the world this year. Truly, NCAA distance running queen Karissa Schweizer's anchor leg on Missouri's DMR at the SEC Championships was the stuff of dreams. The senior, whose specialty to this point has been the 5K but whom we entreated to race the mile at NCAAs after a 4:27 PB, got the baton in ninth place and 11 seconds back of race leaders Vanderbilt. But the Commodores don't have an anchor who can split well below 4:30 --and neither, for that matter, do most teams in the NCAA except New Hampshire-- and Schweizer quickly made short work of the field, splitting 4:25.56 and winning the race by six seconds over Arkansas. 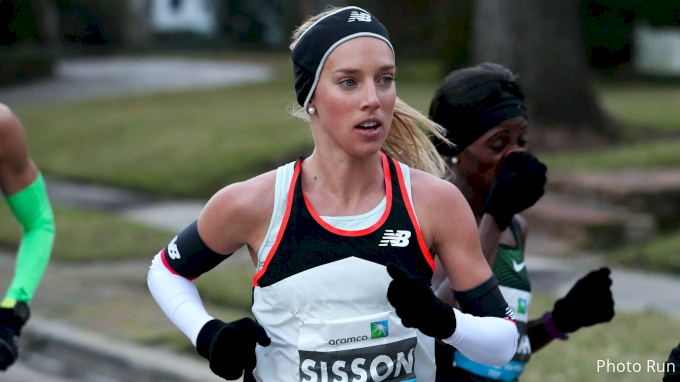 Though Schweizer is clearly a stud in the mile, that race may be the toughest to win compared to the 3K or 5K. 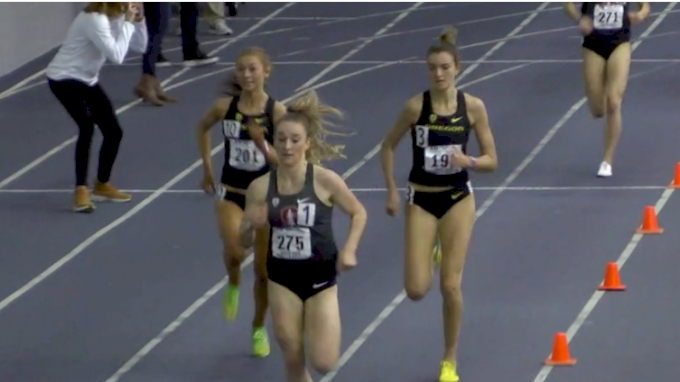 Elinor Purrier of New Hampshire has actually run faster this year (4:26.55), and several other athletes are in top form: Dani Jones of Colorado, last year's NCAA 3K champ, ran a 4:36.05 at altitude (which converts to 4:29.32); and perennial distance powerhouses Stanford and Oregon currently boast their fastest milers ever, as Elise Cranny and Jessica Hull broke their respective school records at the MPSF Championships in 4:31.29 and 4:31.76. Lilli Burdon of Oregon and Christina Aragon and Vanessa Fraser of Stanford also ran under the prior school records, which were set by Anne Kesselring in 2012 and Lauren Centrowitz (yep, Centro's older sister) in 2009. It's pretty wild that Schweizer is the fifth-fastest miler in collegiate history and we don't think she's the favorite to win. We're guessing she goes with the more forgiving 3K/5K double, in which she is also ranked No. 1 in the nation and which are both typically less unpredictable races than the mile. Of the three events, she is by far the most favored in the 3K as her 8:41.60 collegiate record leads all other competitors by 14 seconds. The 5K could be just as tough as the mile; NCAA XC champ Ednah Kurgat finished just two seconds behind her at the BU Season Opener, 15:17.31 to 15:19.03. So, Just How Accurate Will That New Mexico DMR Conversion Be? 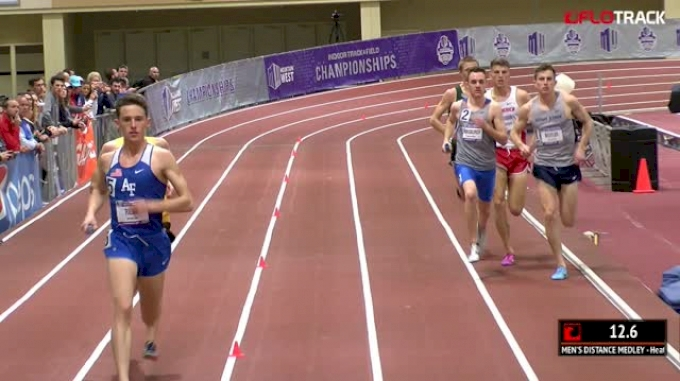 Altitude and flat track conversions are always one of the more debatable facets of the indoor track season and never more so than when it comes to the distance medley relay. Regardless of whether you agree with the generous conversion rate or not, this is how you clinch your spot to NCAAs. 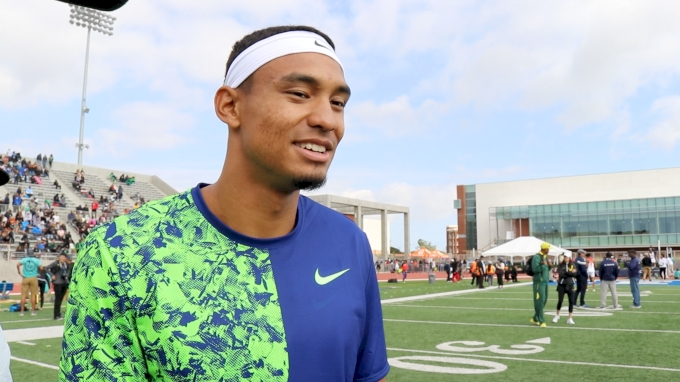 The University of Texas' NCAA record of 9:25.97 is more than 10 years old now and maybe it's finally time for it to go -- especially since Stanford legitimately clocked a time that's not too far off, 9:26.91, to win the Alex Wilson Invitational. And in case you were wondering... a Cardinal press release indicates that Stanford's stud anchor, Grant Fisher, will indeed be making the DMR/3K double. Of course, in a tactical race, I'd bet on the Lobos' reigning NCAA mile/1500m champion Josh Kerr over Fisher. That is, if he's allowed to run the DMR this year at nationals. LSU's Mikiah Brisco and Aleia Hobbs and Texas Tech's Divine Oduduru and Andrew Hudson will go 1-2 in the women's 60m and men's 200m, respectively. Brisco, the defending NCAA 100m champion, has owned the NCAA leaderboard all winter with a 7.10 season's best (converted from 7.08 at altitude); Hobbs ranks right behind her at 7.12 and they ran 1-2 at the super-competitive SEC Indoor Championships this weekend. Don't miss the 1-2 finish from Mikiah Brisco and @AleiaBitOfThis! Texas Tech boasts a similar story in the men's 200m, where true freshman and five-time African junior champion Divine Oduduru and sophomore Andrew Hudson rank No. 1 and No. 4 in the nation. At Big 12s, Oduduru took the win in the 200m while Hudson won the 60m. Their close proximity in those races indicates to this reporter that Hudson is more capable of finishing close to his teammate in an NCAA finals situation that his ranking may suggest. The duo also rank No. 9 and No. 13, respectively, in the NCAA's descending order list for the 60m, which would seemingly lock them in to represent the Red Raiders in both short sprint events. Speaking of Texas Tech, the men's program won its first-ever Big 12 Indoor Championships team title this weekend in Iowa. Here's the Red Raiders celebrating. 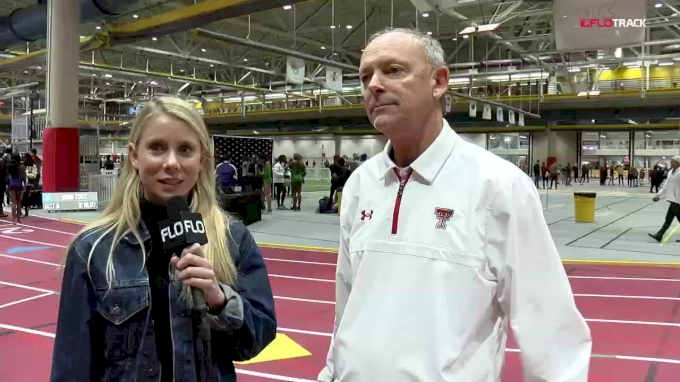 And here's our live interview with Texas Tech head coach Wes Kittley.